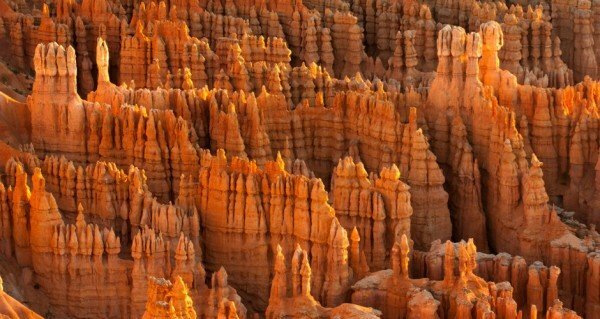 Utah is home to some of the most spectacular natural features the United States has to offer. How to choose just one? The answer is you don’t have to. 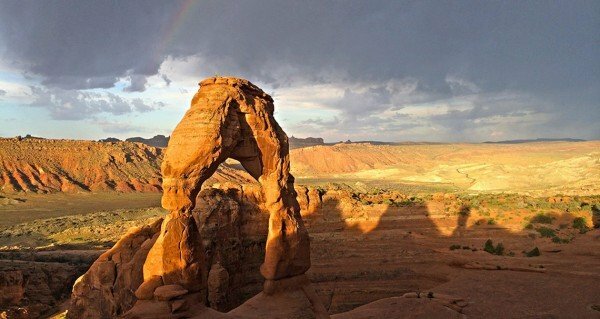 With so much beauty packed the southern portion of the state, Utah is an adventurer’s dreamland. But the state still has so many options it can be mind-boggling. In an effort to boil down the choices, the good folks at Utah.com have recommended a combination of attractions. Here are five trips that offer well-rounded adventures while touching on the state’s most notable destinations including five national parks. It’s in the southern end of Utah where the most spectacular features exist, none more so than the sandstone formations at Arches National Park. 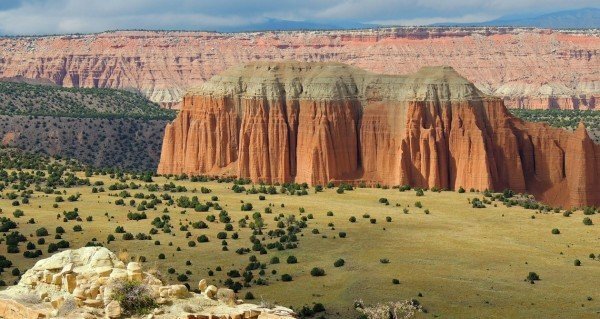 Here the centuries of windswept plains have sculpted bridges, monoliths and giant pipes out of sandstone for some of the most stunning geology on the planet. 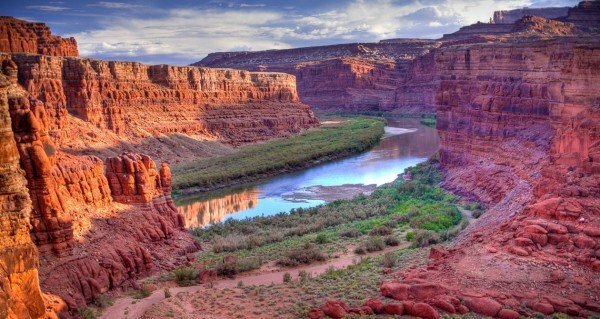 A trip to this fascinating destination can be combined with a more active mountain bike excursion out of Moab. This mountain biking mecca is just minutes from Arches, offering a variety of options at local bike shops. Read more in our feature on mountain biking Utah including the trails at Moab. A trip to Utah would not be complete without visiting Zion National Park. 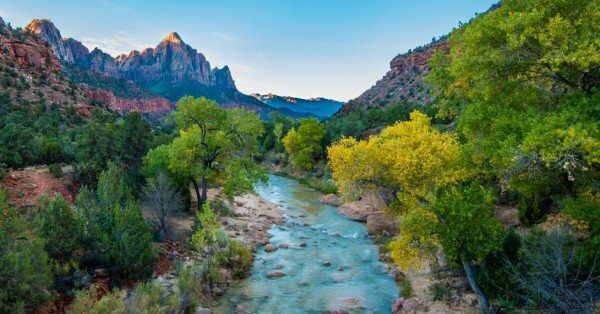 A pinnacle of the National Park Service, Zion is a wonderland of adventure for extremists as well as plenty for families and small children. While many visitors are fixated on Angels Landing and the Narrows, trails such as The Watchman offer a less crowded choice with equally impressive scenery. A great combo trip with Zion is a stop at the Coral Pink Sand Dunes State Park. This other-worldly landscape is draped in a shifting sea of red sand. A great stop for renting ATVs or dune buggies for the more adventurous types, it’s still a worthwhile visit just for casual onlookers. Don’t forget to bring your sunscreen though as it can feel like the surface of the sun. Also in the southern end of the state is Bryce Canyon National Park. Here you’ll find the hoodoos of Paungsagunt Plateau, these towering spires formed from sandstone erosion that almost resemble Asian stupas. A great option here is the Navajo Loop Trail, one of the most popular hikes in the park which takes visitors down the rim of the amphitheater. A combination trip for Bryce Canyon is Brian Head Resort for skiing and snowboarding in the winter. Though southern Oregon is not often thought of for its skiing, Brian Head receives annual snowfall of 360 feet on average at Utah’s highest base elevation. West of Moab is one of Utah’s lesser known national parks in Capitol Reef National Park. Here there is a 100-mile pinch of earth that’s cleaved upward in the middle of nowhere and with it has surrounded cultures through the ages. In the same area you can also swim in Calf Creek Falls after a long hike where you’ll pass idyllic pools among mineral-streaked cliffs of the Grand Staircase-Escalante area. For an adventurous combo, at Indian Creek consider a rock climbing adventure. With plenty of guides and equipment suppliers in the Moab area, you can easily find a safe way to experience this gem for the right skill level.